Comments: The Dark Lord of the Sith is obsessed with finding the young Rebel who destroyed the Death Star. Vader and his master are certain that this boy is the offspring of Anakin Skywalker. Following up on a probe droid lead, Vader quickly identifies the Rebel base on Hoth but arrives too late, as the last of the Rebels flee Echo Base in the Millennium Falcon. 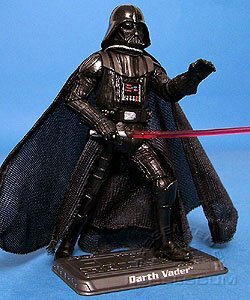 This Darth Vader was originally released as 2005's 500th Darth Vader figure. This time around, his chest armor is darker, and not as shiny, In addition, he only comes with the hand that holds the lightsaber. There is a packaging variation for this figure. 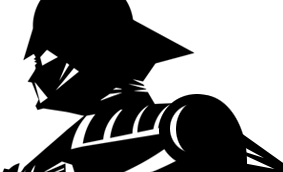 Darth Vader is either posed in an action pose, or in a standing pose.